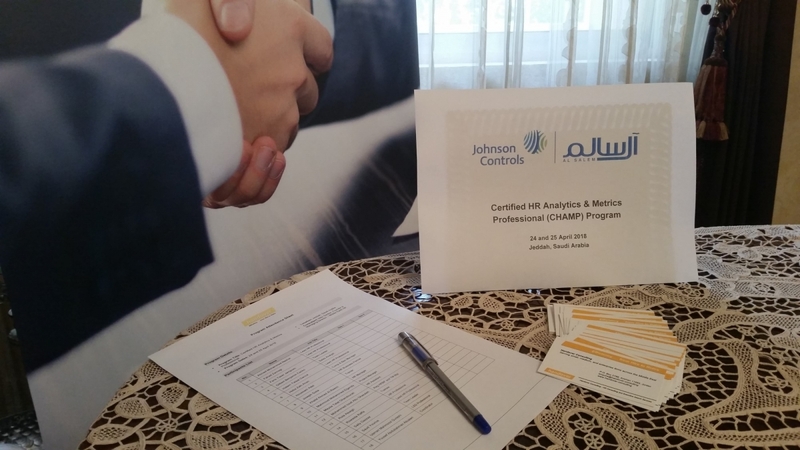 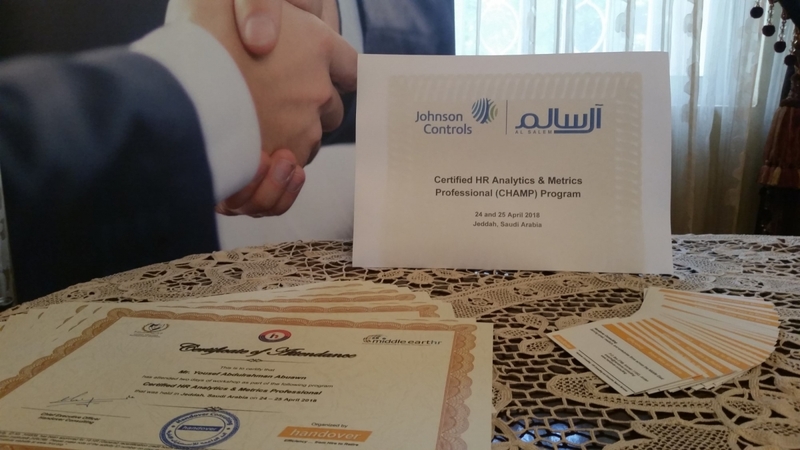 We would like to thank Al Salem Johnson Controls for inviting us to deliver an In-House Certified HR Analytics & Metrics Professional (CHAMP) program for their HR Team and we wish them good luck with their assigned projects. Following each program we develop a summary report to highlight the feedback received from participants who attended the program and we share it with attendees for future reference. 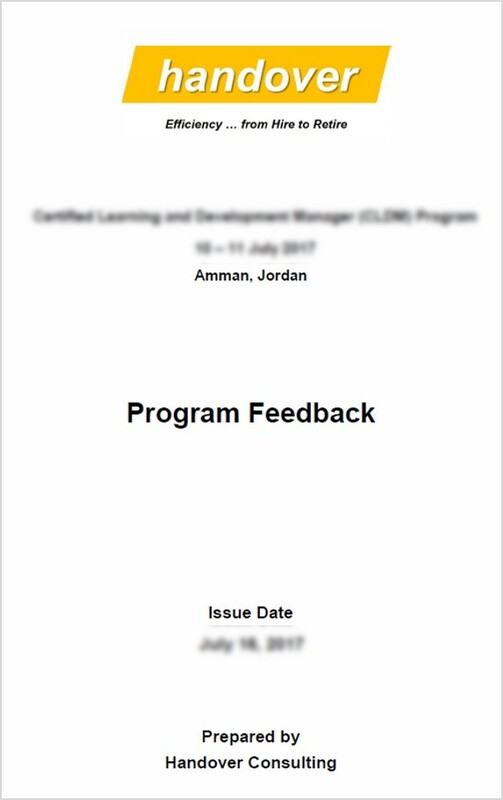 You can view the Feedback Report over here. 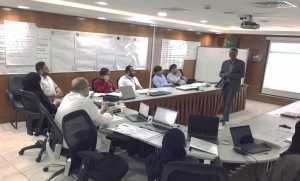 Below are a number of photos that we have taken throughout the workshops of the program as a nice memory for this event.